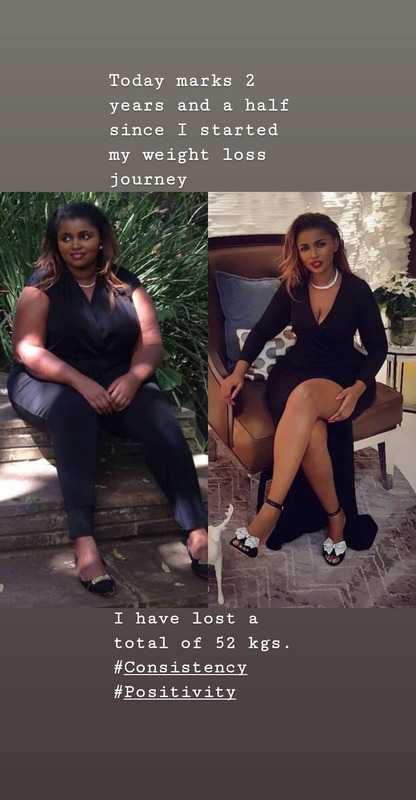 Anerlisa Muigai is the unofficial ambassador of weight loss. 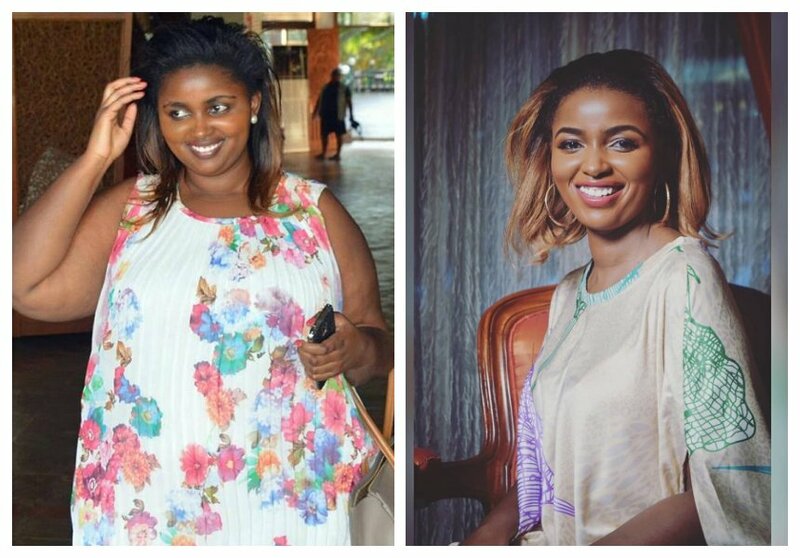 The Keroche heiress has always been on the forefront to encourage overweight women to lose some weight, using her own experience to motivate others. Anerlisa was body-shamed multiple time when she was still overweight, but interestingly the trolls is not what pushed her to lose weight. 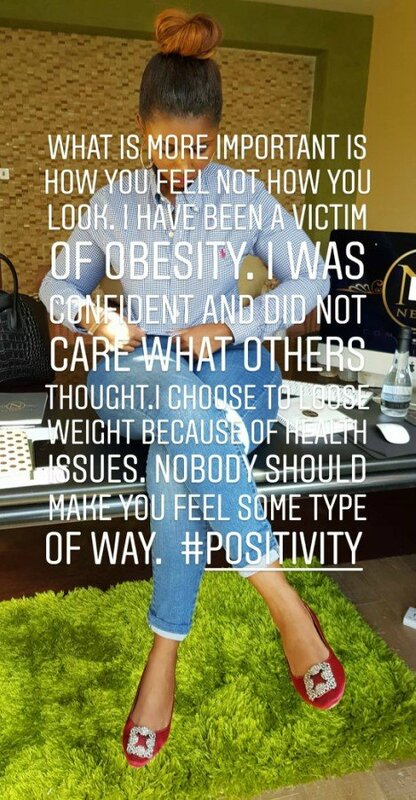 The Keroche heiress explains that she was very confident in her big body, but she decided to shade off some weight because she developed health complications. “What is more important is how you feel not how you look. I have been a victim of obesity. I was confident and did not care what others thought. I choose to loose weight because of health issues. Nobody should make you feel some type of way,” wrote Anerlisa. Anerlisa also reveals that so far she has lost a total of 52 kilos. She started the weight loss journey some two and a half years ago.